Crank Brothers Multi Bicycle Tool – The Crank Brothers Multi Bicycle Tool is one of the best tools to take on the trails while enjoying a good weekend ride. Just in case something falls off. UAG iPhone 8/7 Case – UAG’s iPhone cases are military grade drop tested to protect one of your most expensive devices while riding. Oakley Radar Trail Shield Sunglasses – The PRIZM technology inside these Oakley sunglasses raise the light transfer to your eyes to improve contrast and true color in the trails. 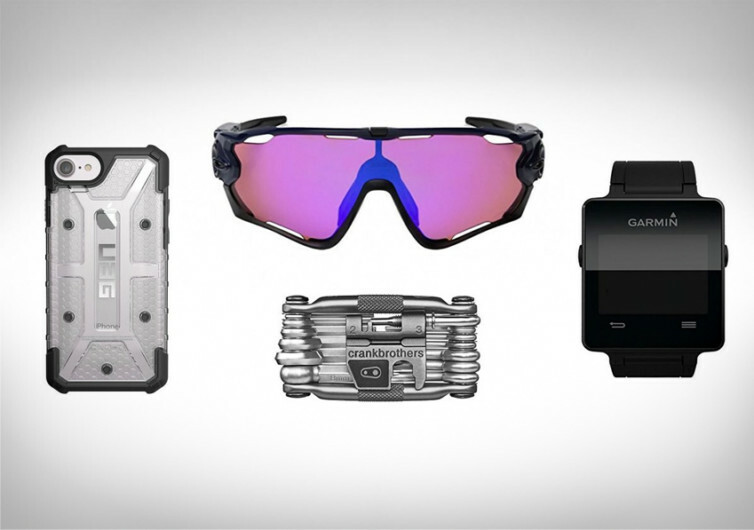 Garmin Vivoactive Black – A GPS enabled smartwatch to track time, distance, speed, and calories while riding.